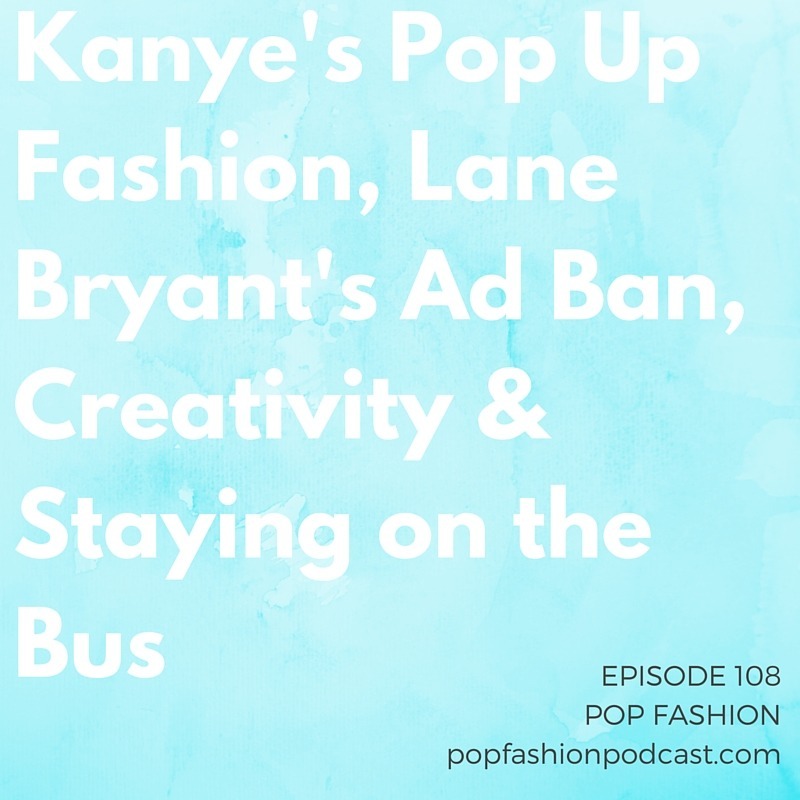 This week, Aeropostale’s stock is tanking, Kanye surprised everyone with a pop-up shop in New York City, and Kmart Australia has our “good on you” story for the week. In other news, what the heck is happening with the new Lane Bryant commercial? We think it is rocking, so why are television networks turning it down? Also, the Council of Fashion Designers of America will televise its awards ceremony (will you watch? ), and the New York Times makes us think about our current political landscape through the lens of fashion. Our main topic is about staying on the bus! Lisa explains the Helsinki Bus Station Theory and how it applies to our careers and creative lives. Are we continually switching busses when we need to just ride things out? Come hang with us!